Decorative children sticker of two kids playing in the park. 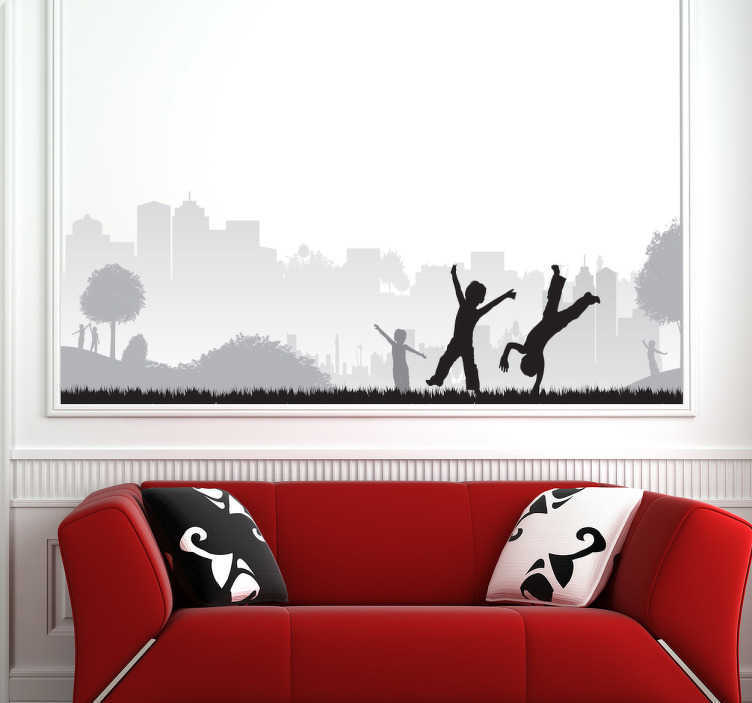 Fantastic decal to decorate any room at home and fill those empty walls! A sticker that will bring out your inner child! Perfect for places where the little ones are likely to be, for example, the living room. Get rid of that one empty wall at home with this spectacular well decal! Available in different sizes. Just like every other sticker, this sticker is also easy to apply and remove made with anti-bubble vinyl.